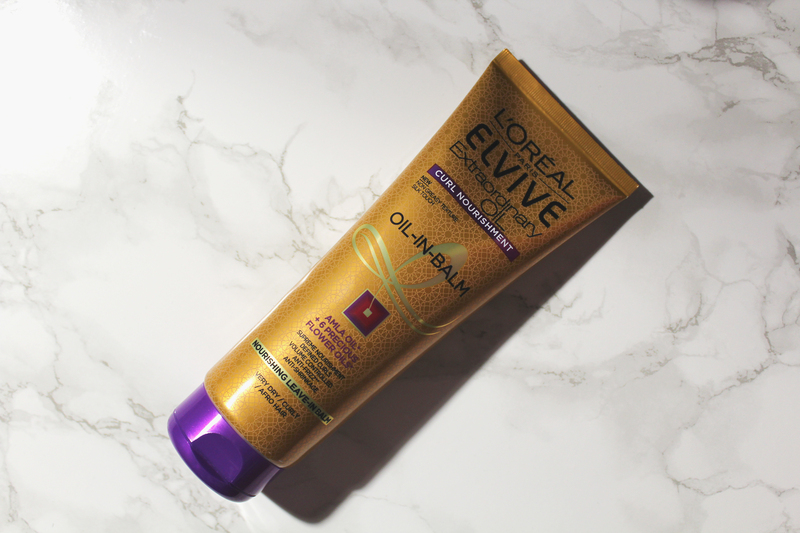 Purchased from Savers (£1.99 for 250ml), L’Oreal Elvive Extraordinary Oil Curl Nourishment Oil-in-Balm is awful. 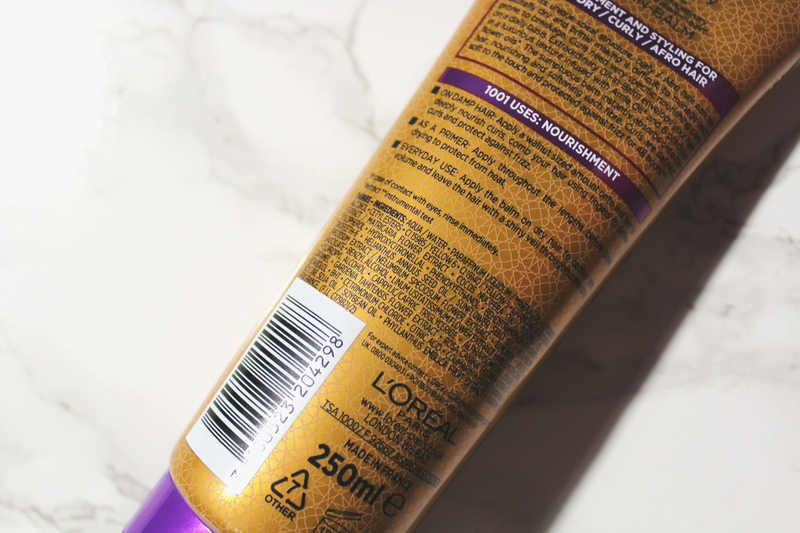 I had such high expectations, as I tend to like L’Oreal hair care products. L’Oreal Elvive Extraordinary Oil Curl Nourishment Oil-in-Balm is marketed as a nourishing leave-in balm for very dry, curly, afro hair. I have to laugh as this product is far from nourishing. According to L’Oreal, curly afro hair can be dry as well as brittle, making it difficult to manage and prone to breakage. L’Oreal Elvive Extraordinary Oil Curl Nourishment Oil-in-Balm is suppose to aid, nourishing and softening curly afro hair. It should leave your curls defined, soft to touch and protected against frizz for 48 hours. It is also infused with amla oil and 6 precious flower oils. I have no idea what flower oils are, and Google appears to be just as clueless. I am amused. Where does one begin? L’Oreal also provides “1001 uses”, just some of the ways L’Oreal Elvive Extraordinary Oil Curl Nourishment Oil-in-Balm can be used. Everyone with curly afro hair will find the first “use” hilarious. According to L’Oreal, we should apply a walnut sized amount to damp curls. No one with curly afro hair uses a walnut sized amount; we have way too much hair. Even my fine 4A curls require so much more product. 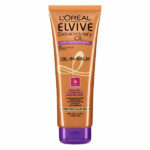 L’Oreal also suggests using L’Oreal Elvive Extraordinary Oil Curl Nourishment Oil-in-Balm as a heat protectant. A product for curly afro hair should not promote the use of heat as this will dry out our hair even more; a good heat protectant prioritises protection and will not have many uses. 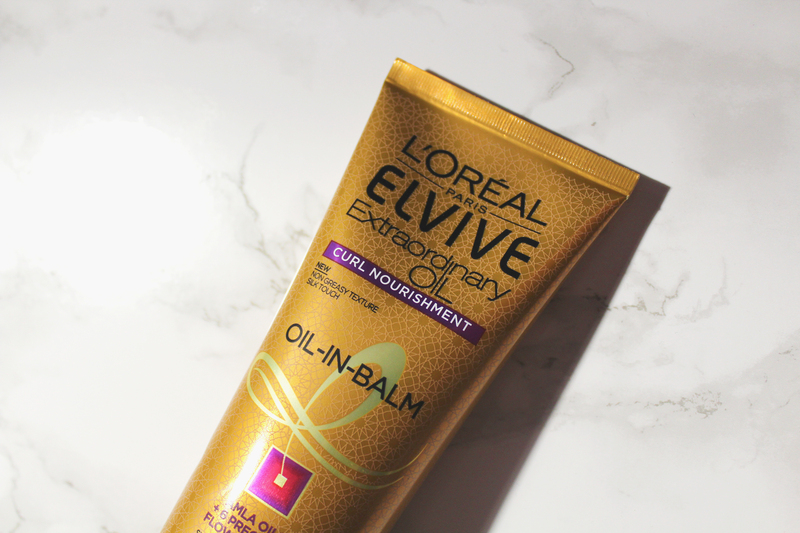 L’Oreal jargon aside; I want to discuss my experience with L’Oreal Elvive Extraordinary Oil Curl Nourishment Oil-in-Balm. The scent is pretty bold and pleasantly musky; it is tolerable, but I could do without it. 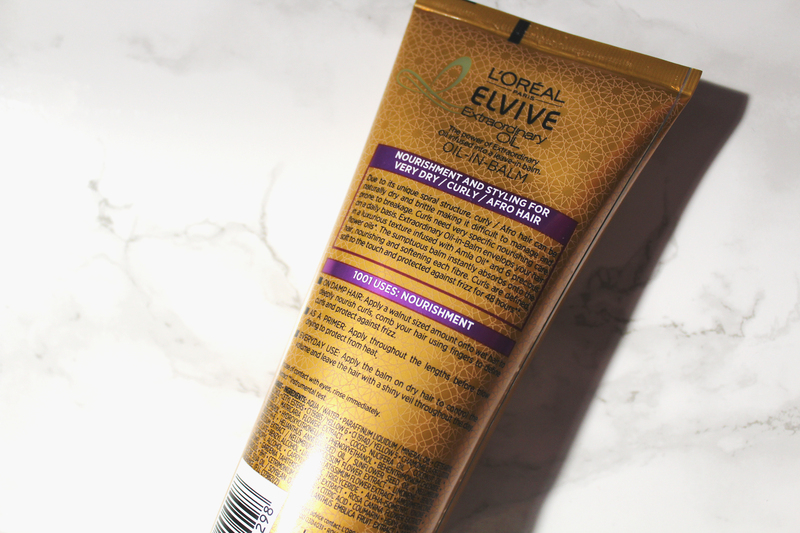 I applied L’Oreal Elvive Extraordinary Oil Curl Nourishment Oil-in-Balm to my hair after shampooing and conditioning. The process was a chore, as you need to be heavy handed with this product; the walnut sized amount recommended failed to moisturise my curls. L’Oreal Elvive Extraordinary Oil Curl Nourishment Oil-in-Balm did leave my hair soft to touch but it failed to nourish as this product does not penetrate. It simply sits on your curls, leaving a lot of flakes! I have never encountered a leave-in that flakes. 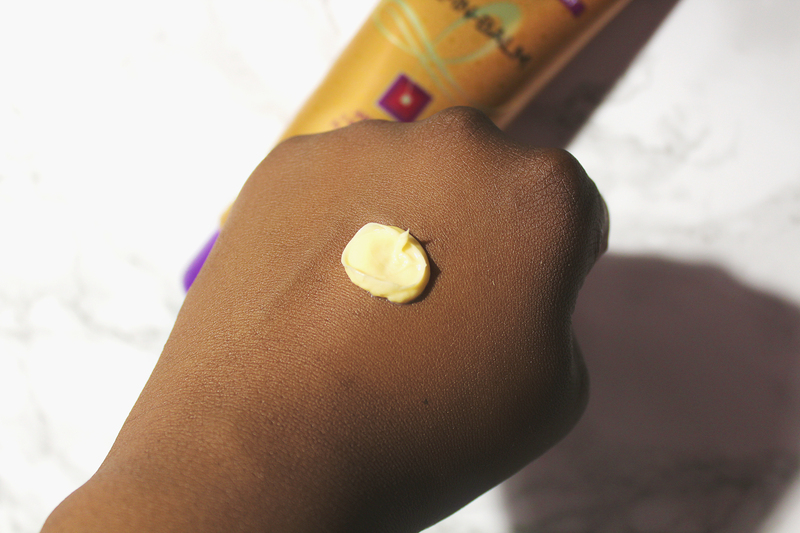 Overall, I am not impressed, and my fellow curly afro haired sisters need to avoid L’Oreal Elvive Extraordinary Oil Curl Nourishment Oil-in-Balm.